We are proud to thank all our sponsors who have collectively made Business on the Move a reality. Our 50 sponsors, grouped here according to their level of support for our game, reflect the wide diversity of organisations that make up supply chains that serve the UK . Click on each to learn more about who they are and what they do. At CHEP we have one goal: Building better supply chains together, by helping our customers to store, protect and move their products in a cost effective, safe and environmentally sound way. 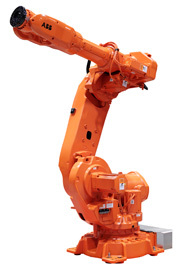 Our solutions are based on returnable and reusable pooled equipment. We offer concrete ways to help our customers make their supply chain operations leaner, greener and safer. This means that our customers can grow their income, become more competitive and focus on what they do best, systematically reducing their supply chain costs. XPO Logistics is a top ten global logistics company. We run our business as one highly integrated network of people, technology and physical assets in 31 countries, with over 90,000 employees and 1,435 locations. We use our network to help customers manage their goods more efficiently throughout their supply chains. Logistics means getting the right thing to the right place at the right time. The Logistics Guild is a shared network of resource that enables anyone that works in logistics to share ideas, whilst gaining support, guidance and access to training opportunities, career development and jobs. Membership of the Logistics Guild is open to anyone that works in any aspect of the handling, movement or storage of goods or materials, or if they provide logistics services, are members of professional logistics organisations or are studying at schools, colleges or universities that offer a logistics qualification. TIR is a training company helping people whose work revolves around all aspects of transporting goods. TIR’s services range from teaching people how to drive trucks right up to senior managers who need to pass written transport exams, assisting them all to improve their career prospects. People trained by TIR have gone on to work in many industries and are responsible for delivering goods all over the country. UKWA represents the third party logistics (3PL) sector. A 3PL company provides many types of logistics services for use by its customers in the supply chain. They include warehousing, storage, pick and pack and transport. UKWA has over 650 member companies, who operate 10 million square metres of warehousing from over 2000 depots across the country. In addition to representing the views of it members, UKWA promotes best practice, develops training qualifications, and supports member companies in the development of their businesses. Calor Gas is a subsidiary of the Dutch multinational company SHV. It is the UK market leader in Liquefied Petroleum Gas (LPG) which is used as a fuel in heating appliances and vehicles. We have more than 1300 permanent employees and over 77 years of experience of not only serving a wide variety of markets such as heating, catering, agriculture and transport, but also supporting the local areas and the rural communities we serve. In 2011 the company was awarded the prestigious Carbon Trust Standard for reducing our carbon footprint and for our commitment to on-going reductions. 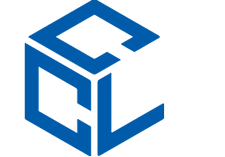 Century Logistics was launched in 1997 by Stephen and Ann Basey-Fisher to provide cost effective contract warehousing services for all types of businesses including new and dynamic E-commerce retailers. We collect their stock from the docks, unload it onto pallets and store it in our racked warehouses for as long as they want. When our customer sells the stock we then pick and pack it before delivering the products to the retailer. All the goods must be handled carefully by our hard working forklift drivers. Collect+ makes it really easy to buy, return or sell goods online. We work with over 210 retail brands as well as marketplace sites like eBay and Amazon and deliver over 10 million parcels a year. With a UK network of over 5,250 local parcel stores, we’ve made it simple for customers to collect online purchases, return unwanted goods or send items to customers or friends. You can find Collect+ in supermarkets, newsagents, convenience stores and even petrol stations and shopping centres. Our stores have long opening hours, handy locations and secure storage and are open 7 days a week. London Gateway is the UK’s new deep-sea container port and Europe’s largest logistics park. Situated on the north bank of the River Thames it provides the closest access for the world’s biggest ships to the largest consumer markets in the UK. The location of the port ensures goods will travel the shortest distance in the UK, which means fewer road miles, lower costs and less vehicle emissions. Using latest technology and a high level of automation, London Gateway ensures ships load and unload quickly and efficiently, making the new port a world class asset for the UK. The Food Storage and Distribution Federation (FSDF) represents and supports the interests of the entire food and drink logistics industry, a sector vital to the UK economy and to the population as a whole. The Federation represents our industry’s interests at the highest levels with Government, higher education and other allied trade bodies to secure, for instance, improvements in the support for quality training for temperature-controlled distribution. We pride ourselves on knowing our members on an individual basis so we can better provide individual support and advice to member companies whatever their needs may be. Home Bargains, is one of the UK’s fastest growing discount retailers. The company has over 300 stores throughout the UK and employs more than 10,000 staff. Home Bargains is widely regarded as one of the largest businesses in Merseyside. We aim to offer the lowest prices in the UK on top quality, branded goods. A wide range of products and brands is on offer in our stores, including health & beauty, food, toys and games, household, clothing, seasonal, sweets, snacks, drinks and alcohol as well as our own range of affordable home style. Jaguar Land Rover is the UK’s largest automotive manufacturing business, built around two iconic British car brands: Land Rover is a world-renowned premium 4×4 brand while Jaguar is one of the world’s premier luxury sports saloon and sports car brands. We employ 25,000 people globally and support more than 190,000 UK jobs through the supply chain, dealer network and wider economy. All of our cars are engineered and designed in Britain. More than 80 per cent of the cars produced at our three advanced manufacturing plants in Merseyside and the West Midlands are exported to more than 170 markets worldwide. Based in Munich, MAN Truck & Bus AG is a leading international supplier of commercial vehicles. In 2012 the company with approximately 34,400 employees achieved sales of more than 8.8 billion Euros and sold more than 74,600 trucks. With a share of 17% the company retained its position of second place in the European market for trucks over six tonnes in 2012. In the UK MAN has been meeting the needs of the transport industry for over 35 years and is committed to growing the business to the benefit of its customers investing heavily over recent years in the development of the dealer network. Morrisons is one of the UK’s biggest food retailers and the only British supermarket to have our own food processing sites, abattoirs and even a farm. We employ expert livestock buyers to pick animals straight from the farmer and we are unique in making almost a quarter of the food we sell in store ourselves. We’re committed to supporting British farming, that’s why all Morrisons-branded fresh meat and everything on our butchers’ counters is 100% British. Our aim is to give our customers more of what matters to them, offering great quality food at low prices. Founded in 1970 and based in Geneva, Switzerland, MSC is one of the leading global shipping lines in the world. Privately-owned, the company employs 40,000 staff in 165 countries, working from 475 offices, four of which are in the UK. MSC has access to an integrated network of road, rail and sea transport resources which stretches across the globe. This means they can provide a complete door-to-door import and export service to and from almost anywhere in the world. Every week MSC provides more than 200 shipping services through over 300 ports across the 6 continents around the world. Established in 2008, Multimodal is firmly established as the UK and Ireland’s leading freight transport and logistics exhibition. Multimodal has become the annual one-stop-shop for shippers looking for ways of optimising their supply chain and transportation flows. Multimodal attracts high calibre cargo owners, retailers and manufacturers specifically there to do business and sign contracts with suppliers who can increase their supply chain efficiencies, reduce their costs and protect their margins. Multimodal seminars focus on Supply Chain Best Practice: navigating the logistics legislation and compliance landscape, building a slick supply chain, and embracing new trends. Network Rail runs, maintains and develops Britain’s rail infrastructure – including the tracks, signalling, bridges, tunnels, level crossings, viaducts and 17 key stations. Network Rail took over the running of the infrastructure in 2002 with the aims of improving safety, reliability and efficiency of the railway. Network Rail employs around 35,000 people and currently spends around £8 billion a year on running, maintaining and developing the infrastructure. Between 2009 and 2014 it has invested around £12 billion in enhancing the infrastructure to provide for the growth of passenger and freight traffic. Pall-Ex Group is one of the UK’s leading pallet networks in the UK and Europe. 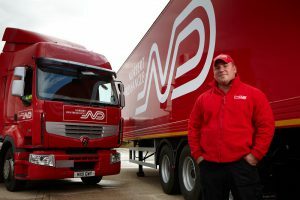 Founded in 1996 by entrepreneur and TV presenter, Hilary Devey, Pall-Ex has grown phenomenally, providing customers with an unparalleled level of cost-effective service, through a nationwide membership network of around 100 of the UK’s leading hauliers. Pall-Ex Group currently comprises of five domestic freight networks – Pall-Ex UK, Pall-Ex Italia, Pall-Ex Iberia, Pall-Ex Romania and Pall-Ex France. Pall-Ex Group is currently underway in establishing networks in Germany, Poland, Turkey and the Benelux countries. PGS delivers more than one million items a year, safely and on time. Small parcels or large pallets are transported by road, air and sea. Our own fleet of vehicles means that if we have to deal with an unusual freight item we are able to cope with this easily. We have a warehouse conveniently located in Birmingham, giving excellent access to all major roads, ports and airports. PGS have regular daily departures to every corner of the globe! North America, Australia, Argentina, China, Japan, Korea, South Africa and Brazil are to name just a few. Potter Logistics is one of the UK’s leading independent rail freight terminal operators. We provide road and rail transport services moving freight all over the country. We are able to handle goods at every stage from loading to final delivery. The increasing use of our rail freight services reflects growing awareness of its commercial and eco-friendly rewards helping to reduce road congestion and lowering pollution levels. We have three rail connected freight distribution centres in Yorkshire, Merseyside and Cambridgeshire. Each is conveniently located close to motorway routes, with links to major ports and the Channel Tunnel. Prologis is the leading provider of distribution property in the UK. Working with retailers, manufacturers and 3PL operators, the company owns and manages around 20 million square feet of industrial space in prime locations across the country. Prologis provides customers and investors with modern accommodation that is designed and built to high standards of sustainability and it has the expertise needed to build facilities to suit customers’ precise requirements. Prologis is a large global company with modern facilities of approximately 559 million square feet leased to more than 4,500 customers in 21 countries across the Americas, Europe and Asia. GB Railfreight is a Rail Freight operator but mainly moves freight by rail in bulk such as, Containers, coal, steel, building materials, petrochemicals and metals. Our company has earned praise for its innovative approach, flexibility, reliability and competitiveness as well as its customer service. GBRf takes pride in delivering a top class service for its customers. We are the fastest Growing Rail Freight operator in the UK and have won the praise of customers and competitors alike, winning many rail industry awards since being founded in 1999. Shop Direct is the UK’s leading multi-brand on-line retailer, delivering more than 50 million products every year to five million customers. Our household name digital department stores include Very.co.uk, Littlewoods.com and isme.com. Altogether, our brands receive more than 770,000 website visits every day. We sell more than 800 big name brands alongside a selection of exclusive own label fashion brands, including Definitions, Savoir and Ladybird. We also offer highly desirable collections from a number of celebrity designers, including Fearne Cotton, Myleene Klass and Laurence Llewelyn-Bowen. We pride ourselves on making good things more accessible to more people. Tesco is the third largest retailer in the world (measured by revenue) with stores across UK, Europe and Asia. Tesco was founded in 1919 by Jack Cohen from a market stall in London’s East End and the name came from when he combined the three initials of a supplier of tea (T E Stockwell) with the first two letters of his surname! Over the years our business has grown from 500 stores in the 1990s to more than 7,000 stores across 12 countries worldwide today. We now employ over 530,000 people and serve millions of customers every week. No matter who you are, or where you are in the world, there’s a good chance that our products are already a familiar part of your daily routine. Our brands are trusted everywhere and, by listening to the people who buy them, we’ve grown into one of the world’s most successful consumer goods companies. In fact, 150 million times a day, someone somewhere chooses a Unilever product. Look in the kitchen or the bathroom and you’re bound to see one of our well-known brands. We create, market and distribute the products that people choose to feed their families and keep themselves and their homes clean and fresh. Unipart Logistics is one of Europe’s leading independent logistics companies. We build supply chains that maximise efficiency and minimise waste. What makes us different is the way we work, what we call the ‘Unipart way’, unlocking the ideas of people at all levels to tackle problems and deliver innovative solutions. We get involved in sourcing materials, buying, warehousing, ordering systems, engineering support, reverse logistics and managing supply chains from start to finish. We attract customers from a diverse range of business sectors ~ from retail, consumer products, technology, automotive, aerospace and defence, doing it ‘the Unipart way’. Allport Cargo Services pack and transport cargo all over the world, by air, sea, road and rail. Our global network has more than 21,000 people in 450 offices in 130 countries. In the UK we operate out of 20 hi-tech facilities, importing and exporting cargo via all the major international trade routes. For example, we designed specialised freighting solutions to support the international launch of the Range Rover Evoque, and helped the supermarket Morrisons manage the import of their new Nutmeg clothes from Asia and beyond, ensuring that they arrive in store at the right time and in the right quantities. Love the super-classy Range Rover and über-cool Mini? These iconic cars are built on automated production lines by robots that are programmed by Autotech. Order stuff online from your favourite store? Your parcel may be transported at some point – in the warehouse or the distribution network – by equipment controlled by Autotech. Fancy a holiday? When you check in at the airport, it’s often technology from Autotech that ensures your case makes its way to the right plane at the right time. We’re Autotech and we’re in control. For 20 years Bisham Consulting has been helping businesses to improve their supply chains. We assist businesses to plan the strategic re-design of their supply chains, and with our operational experience: forecast and set inventory, design their warehouses better, improve productivity, help outsource their operations and plan their local, national and international multimodal road, rail, sea and air transport. With collaboration help reduce their carbon footprint. With other clients we work on skills provision in Supply Chains and Logistics. If your business is involved in the management, procurement and movement of goods and services Bisham Consulting have Solutions that Work. BITA is the UK’s leading trade association for forklift truck manufacturers and suppliers, companies supplying associated components and services, and the materials handling media. BITA plays a pivotal role in the industry, partnering with key international organisations to help set and maintain the highest technical standards, while also working continually to improve forklift operational safety. Owing to the shortage of new recruits coming into the materials handling industry, particularly in the crucial area of industrial truck maintenance, BITA is encouraging all its members to raise awareness of the wide range of career opportunities available to school and college leavers. EDGE Creative Solutions Limited is a friendly, independent design and marketing agency based in Sutton Coldfield, Birmingham. Our aim is to provide creative ideas and imaginative solutions that will enhance businesses across the UK. We do lots at EDGE! We design and produce thoughtful bespoke solutions for one-off marketing projects or complex communication strategies for our clients who range across variety of business fields. 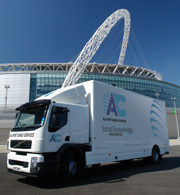 LCP provides advice through consultants with lots of experience of transport and how supply chains work. Our job is to help our customers bring about improvements in their supply chains. We can create new teams and develop existing teams through knowledge transfer and training. Over the past 20 years we’ve successfully helped over 300 organisations around the world improve their global supply chains. Within the past twelve months we have been working in four continents around the globe, and over a dozen capital cities. Surviving the economic downturn has clearly become a hot-topic this year. The Road Haulage Association has been in business for over fifty years, has several thousand members and operates in three main areas. We are a trade association that provides members with a wide range of information advice and guidance to its members in return for a modest annual subscription. Secondly, we also operate a number of services such as training, a hauliers’ shop, tachograph analysis, insurance and legal representation. Finally we are a representative body, lobbying and campaigning on behalf of our members and the road haulage industry in general, in discussions with government, regulators, enforcement bodies and the media. Stobart Group is one of the most recognised brands in Britain, best known for its iconic Eddie Stobart trucks. Today, Eddie Stobart is the name behind a road haulage fleet of some 2,500 trucks and over six million square feet of top quality warehousing. As a multimodal operator we employ over 6,000 people at 50 sites across the UK. Stobart Group is a national leader in multimodal logistics, warehousing and biomass fuel sectors, as well as working in the property development, ports, airports and civil engineering sectors. StobartGroup is driving forward many environmentally friendly changes such as moving more freight from road to rail and testing a number of environmentally friendly dual-fuel trucks. To find out more please visit: www.stobartgroup.co.uk. The University of Chester has over 16,000 students from the United Kingdom, Europe and overseas. It is one of the oldest English higher education establishments of any kind, pre-dating all but Oxford, Cambridge, London and Durham. Its original buildings in the ancient city of Chester were the first in the country to be purpose-built for the professional training of teachers. The University website www.chester.ac.uk lists some 500 courses both at post- and under-graduate levels delivered at 5 campuses within Chester, at Warrington and at our new Engineering Faculty at Ellesmere Port. YICT is a natural deep-water port in China and one of the largest port operators in the world. With a total of 16 berths and a yard area of 373 hectares, it has built up an extensive cargo base which attracts 40 major shipping lines bringing the world’s largest container ships and providing about 100 weekly services to major ports worldwide. YICT is a member of HPH Trust, the world’s first container port business trust listed in Singapore. YICT is also a part of HPH’s global network of port and logistics operations, and continues to have access to services and resources enjoyed by companies within the HPH Group. The Co-operative Banking Group is the name for the group of businesses that includes Co-operative Insurance, Co-operative Investments and The Co-operative Bank including smile and Britannia. As the UK’s largest consumer co-operative with some 6.5 million customers, our Group offers a range of financial products, with The Co-operative Bank providing high street and Internet banking, current accounts, mortgages, credit cards and loans while The Co-operative Insurance provides pensions, unit trusts and insurance as well as financial advice. We are also committed to leading the way on ethical, environmental and community matters. Business on the Move is proud to have been supported by The UnLtd Millennium Award Scheme as one of their 2012 winners. UnLtd is a charity which supports social entrepreneurs – people they judge to have the vision, drive, commitment and passion to change the world for the better. They do this by providing a complete package of funding and support, to help these individuals make their ideas a reality.